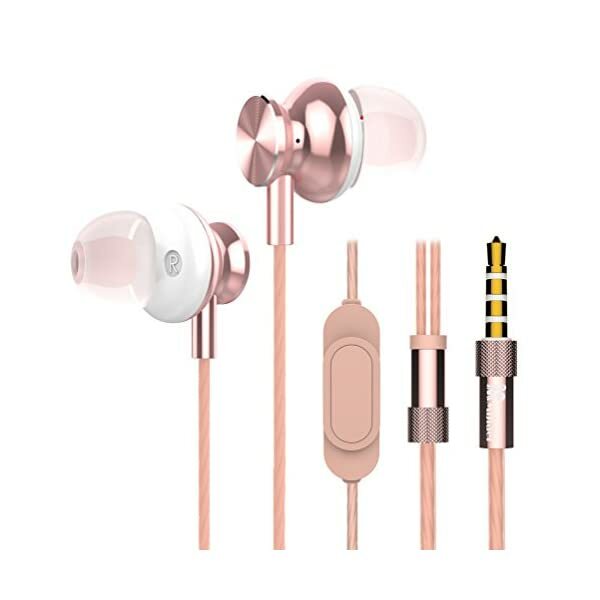 With the design based on the internal structure of the ear, the sound outlet of earphones approaches the eardrum, so you can enjoy your favorite music any time comfortably when using the headphone. 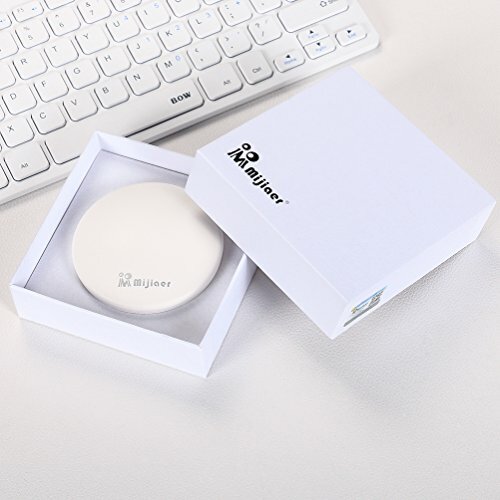 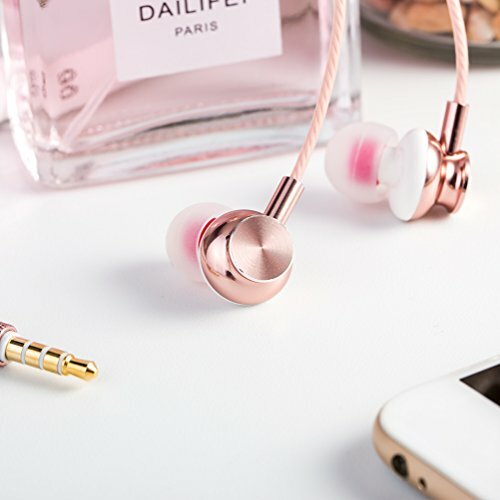 The headphones have three sizes of ear tips including S/M/L to make sure the best fit, small and extra-lightweight contain a simple storage box, and more convenient to carry in your bag or pocket. 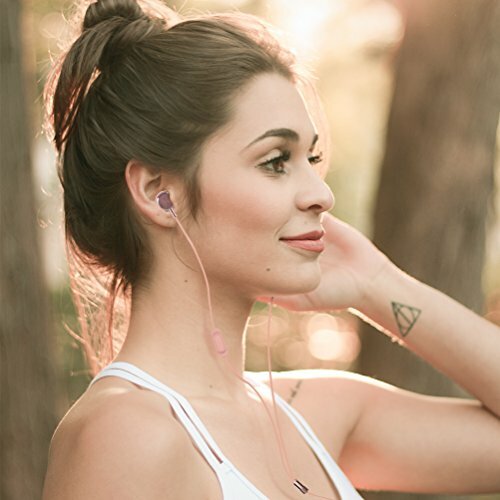 During the use of the earbuds,crystal clear audio performance with dynamic stereo sound and strong deep bass deliver a fantastic listening experience in running, jogging, hiking, and other activities. 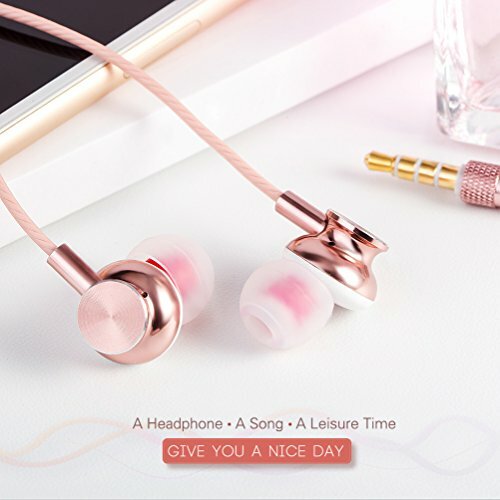 The design of headphones speciallly ergonomic design with oblique angle that fits your ear cancals naturally. 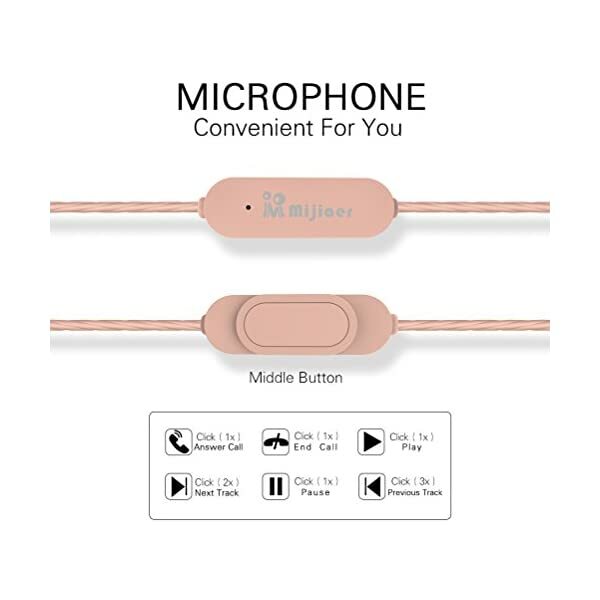 Hand-free conversation is available by built-in Mic and make it a big bonus for convenient usage when you are using the earphones, great for daily communication. 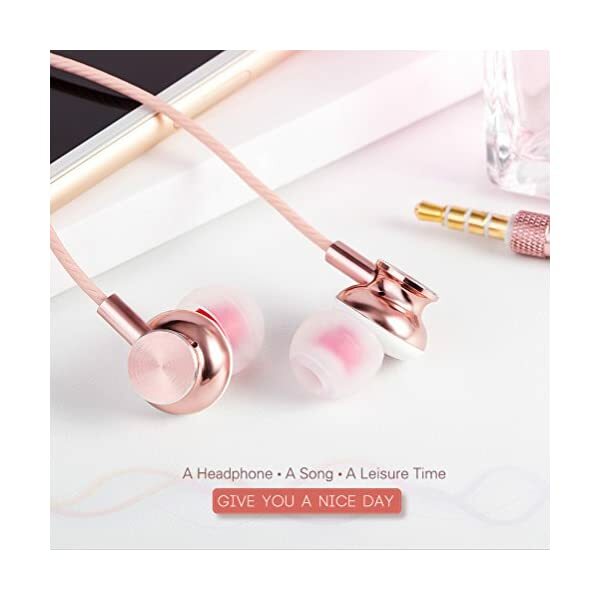 The earbuds have crystal clear sound while blocking ambient and enjoy high sound quality as nature voices, so you can enjoy your music or other audio files in total comfort while using headphones. 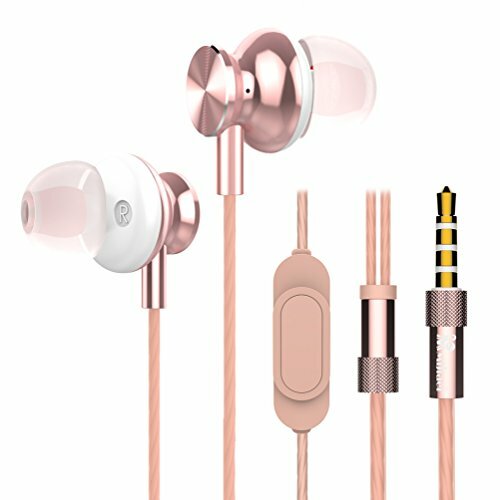 In ear design of these bud headphones can help isolate most external noise. 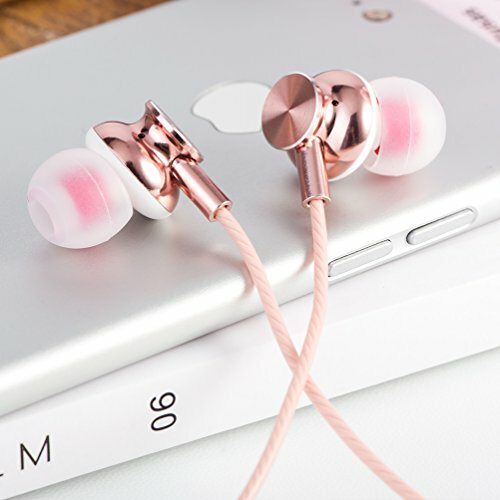 With the ear tips of proper sizes, the noise reducing performance of earbuds will be even better. 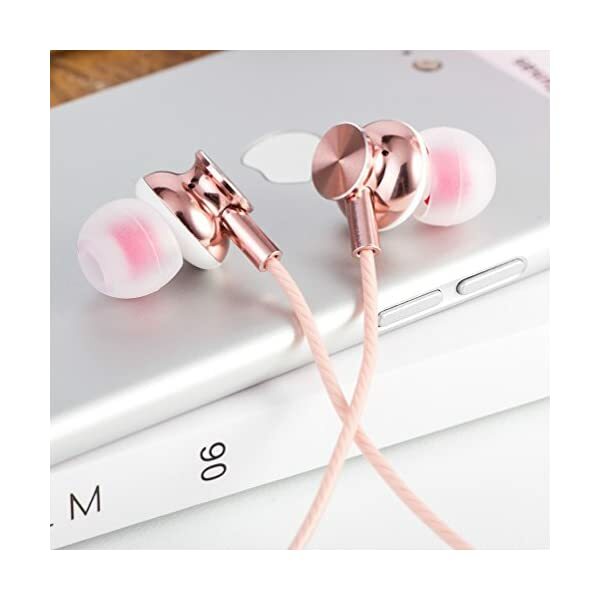 Package comes with different ear tips in L/M/ size for your choice, and contains a simply storage box for easy use and carrying. 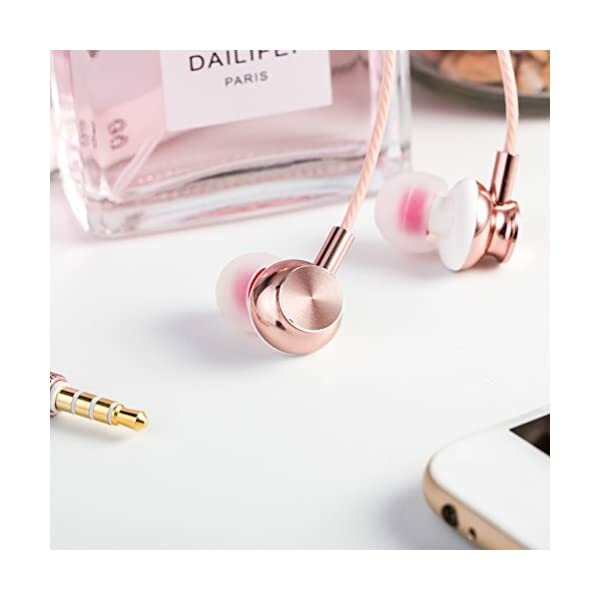 Our headphones have one year warranty to ensure the enjoyment of your purchase. 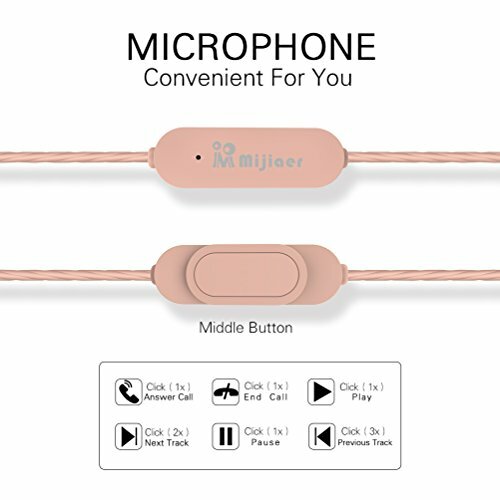 The earbuds compatible with all 3.5mm audio jack smartphones and other devices, including iPhones, Samsung, Android devices, smartphones, and more.